Both the operator and boat owner versions of HubLink include the following map. It appears on the "My Vessels" screen for boat owners and the "My Fleet" screen for operators. Periodically, a given vessel may not appear on the map. Boat owners are often concerned when this happens. Many feel they need to adjust their boat entry, worry the vessel won't be available for charter, and/or think it won't appear in operator search returns. As long as a vessel is available for charter, it will appear in operator search returns whether it appears on the map or not. Moreover, if a vessel doesn't appear on the map, boat owners cannot add it to the map by adjusting their vessel entry. To plot vessels on the map, HubLink relies on AIS and MarineTraffic. 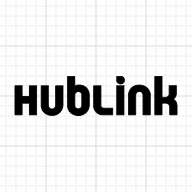 If AIS or MarineTraffic data isn't available for some reason, HubLink will be unable to plot a given vessel on the map. We're considering various long-term strategies to deal with these periodic outages. If users have any suggestions, we ask them to please post a comment below. We'll factor these into our development planning.